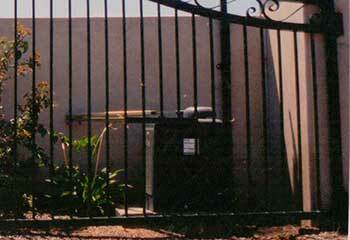 Curious about the kind of jobs our gate repair experts can do? Scroll down and read about a couple of the more recent projects that our field team completed. Customer Issue: Frustrated with his maintenance-heavy opener, this customer needed to have a more reliable model installed. 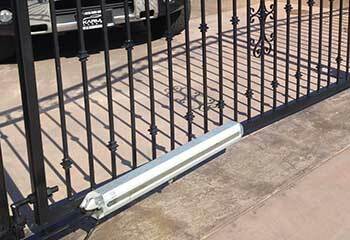 Our Solution: Our team helped Mr. Rivers pick out a pair of FAAC 402 Hydraulic Swing Gate Openers, and hooked the actuators up to each leaf of his double swing gate. The new system was compatible with the customer’s old remote control, and operated smoothly once plugged in. Customer Issue: Property damage caused by reckless drivers led the customer to decide she needs to install a fence and gate to encircle her garden and driveway. Our Solution: After discussing the different options with Mrs. Freeman, we proceeded to carry out the installation of the system she chose. A wrought iron sliding gate to fit the new fence, hooked up to a LiftMaster RSL12UL battery powered opener with a CAPXL integrated wireless control and intercom system that offers smartphone control. The new system works like the well-oiled machine that it is. 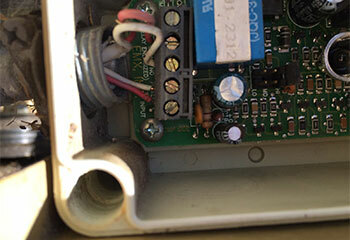 Customer Issue: The gate intercom unit's insulation fell apart, and the sound was starting to get muffled. Our Solution: Our team replaced the microphone in the intercom box, and checked the rest of its internal components for weather damage. Finding none, we rebuilt a more durable insulated housing box around the unit before reattaching it by the gate. There were no further sound issues after that.